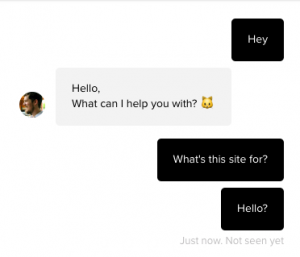 You're on the market for a bot on your website, but is live chat really the solution. This article explores the negative impact of live and automated chat. You’ve seen it on your competitor sites, you’ve interacted with live chat yourself, and you might be considering about adding live chat to your own site. Live chat can improve lead generation and respond to customer support faster – There are no downsides other than just spending a bit of time on your phone, right? Let’s explore some of the situations you’ll encounter after installing live chat. Ever get annoyed when you’re working and someone comes up to you every 15 minutes to ask a question? Most the time, you deal with it, then get back to work. But what about when it happens again an hour later? Then again while you’re in the restroom. At 2 am. This is live chat in practice. Prepare to always be responding to people and never having the time to work on any other part of your business. 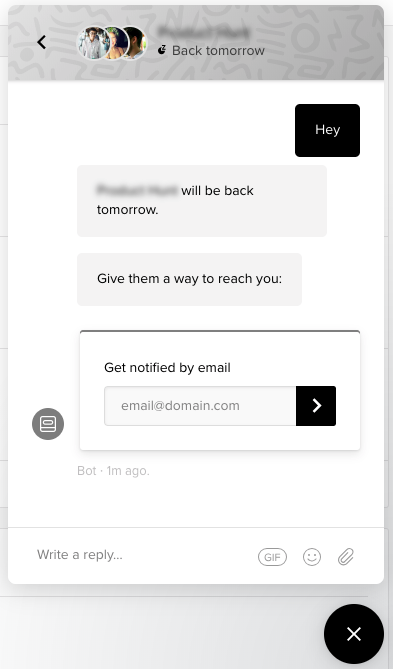 Use “offline mode” to tell users you’ll be back at 9 am tomorrow over email. Use an automated agent or bot to respond for you. Piece of 🍰. The Apple Genius does not acknowledge your existence. He hasn’t turned around to look at you. There’s a little yellow circle above his head that says “away for 20 minutes”. You get frustrated, so you walk up to the next Apple Genius, and she has a yellow circle too! That’s live chat when you’re away. 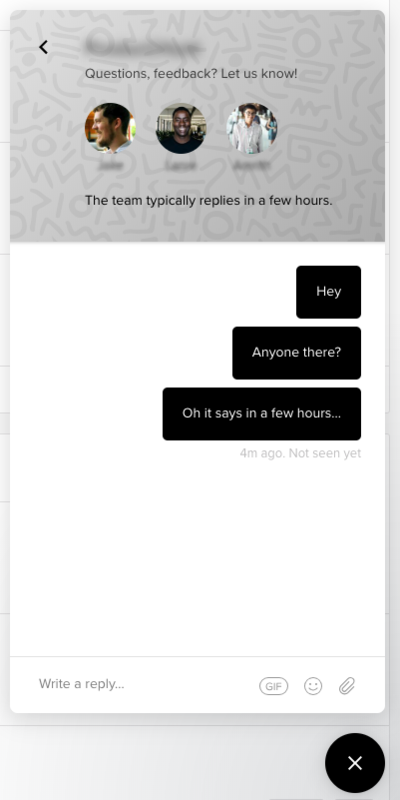 To avoid that scenario, another option is to set your chat options to offline mode, and explicitly tell your users you are not here. But that’s like not having live chat, to begin with. The user’s expectations were let down. The whole point of LIVE CHAT is that your users are interested in your company and want to talk to someone right now! They were just browsing your site… Your chat icon was the one who started this! Now, your users are leaving the site with a neutral or negative impression of your brand. You’re going to spend 2x effort just to reset the mindset with those abandoned users. And your inbox will be filled with hundreds of one-liner questions that you have to filter through. Every single day. On one hand, new sales converted from live chat could outweigh the cost of one or two full-time support employees. On the other hand, you can be locked-in with live chat’s negative issues and your new hires. If you’re a startup or small business, hiring a support team is NOT a financially viable option. But maybe you’ve raised money and can invest in a support team. Given the cash infusion scenario, it’s reasonable your VP of Marketing wants to immediately get that cash to work. However, you want to ensure your investor’s cash is producing a long-term ROI. You don’t want any of the operational inefficiencies or unnecessary overhead costs of an early-stage support team. It’s incredibly important to research what else is out there. Hiring a live-chat support team should be at the bottom of the list. There are new solutions emerging that help with user engagement and behavior analysis. And if you do hire a support team… whatever you do, don’t overload them with other support work like answering calls or responding to support tickets. It’ll just lead to employee retention issues. Maybe you’re considering to buy a bot for scripted or artificially intelligent conversations. 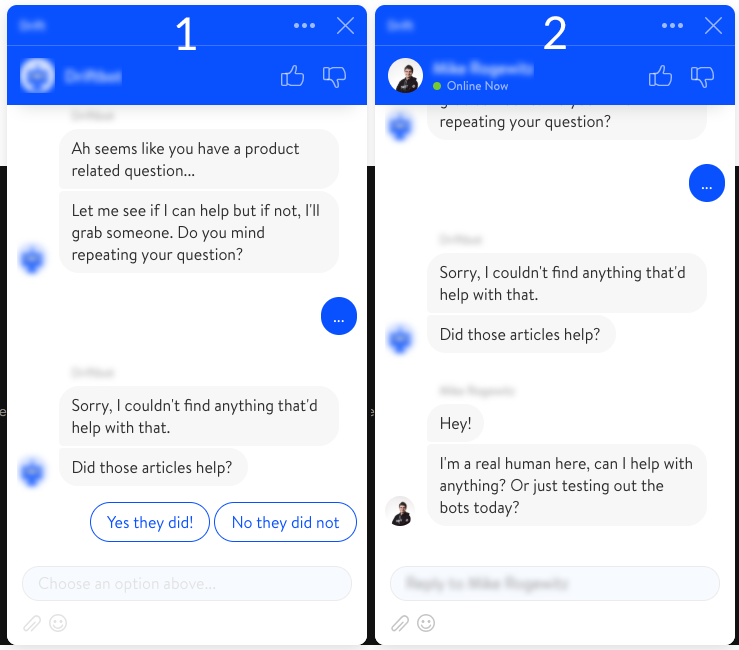 These are usually marketed as chatbots with taglines like “powered by A.I.” or “using machine learning to…”. But when was the last time a bot sold you on something you didn’t originally intend to buy? If you buy software that has conversational workflows (scripts), do you really want to figure out all the psychological situations? Sure you can A/B test your conversational flows, but you’re missing data from all the people who were disengaged with the automated conversations to begin with…. Or what about all of the topics, questions and flows that you didn’t consider? What if your user is confused, where does the user go from there? Your users want to feel like they’re in control, not forcefully being guided down scripted conversations. If all the bot is doing is routing the user to different parts of your website, you’ve got a Navigation Bar for that. 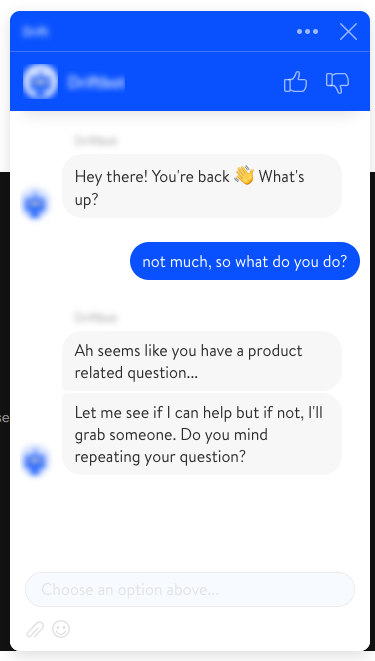 Finally, if you’re using people to fallback when your bot fails, then what’s the point of an automated chatbot? There’s plenty of proven research that points to increased user engagement just by having a bot on your website. But if live chat isn’t the ideal solution, what is? I’m the creator of ChipBot, an insight-driven approach to user support and a financially better alternative to live-chat. 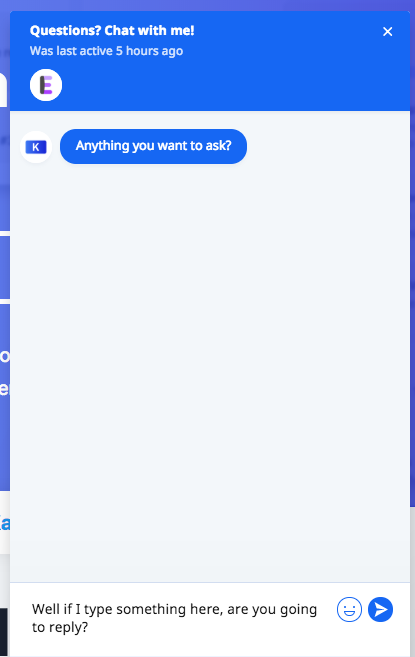 After using live chat for a year on a previous startup, I’ve analyzed the pros and cons of text-based human interactions. Using that research, I’ve figured out how to engage with users in a way that feels natural to them, while leaving the business owner an opportunity to understand their natural behavior. When you understand how your users behave while providing them support, that’s when you can make an impact on your bottom line. Get a bot on your website today!